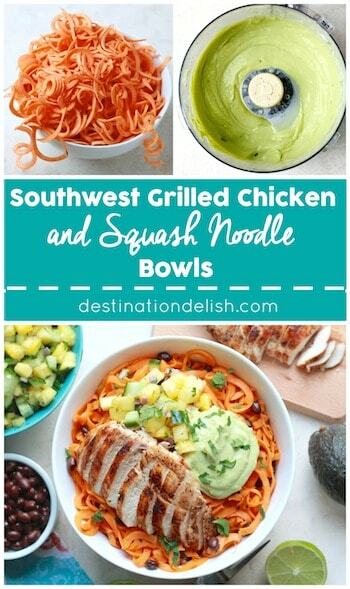 It’s not officially summer yet, but given the fact that this Pineapple Cucumber Salsa has summer BBQ written all over it and the fact that these Southwest Grilled Chicken and Squash Noodle Bowls require the use of a grill, I’d like to declare this recipe the official start of summer on the blog! It’s time to bring out the fruity drinks (and fruity salsa) along with the salads and meats and fire up the grill! 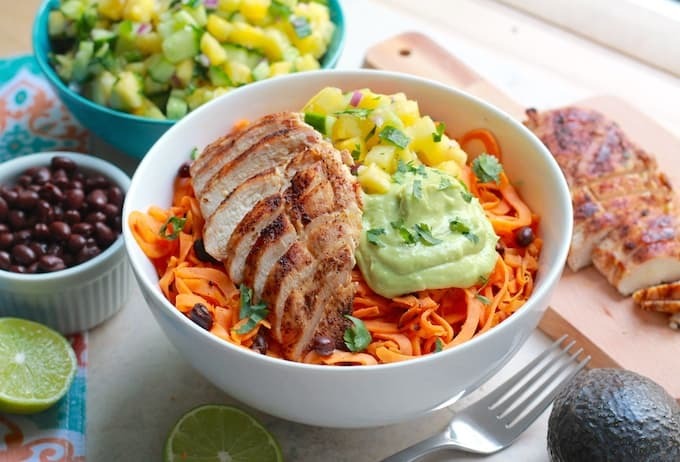 Today, we’re grilling up some chicken breasts rubbed with a warm blend of Southwest spices. This boldly-flavored chicken will eventually rest upon a bed of subtly sweet butternut squash noodles. Again, I just can’t stay away from the b-nut squash even in the heat of summer. And on top of the Southwest grilled chicken will rest a few spoonfuls of this salsa. 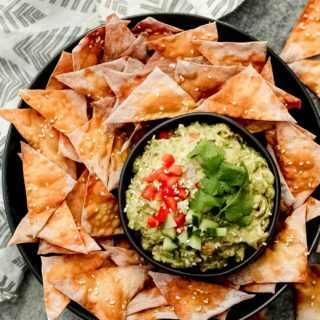 And on top of the salsa will rest a dollop of tangy, creamy avocado sauce. 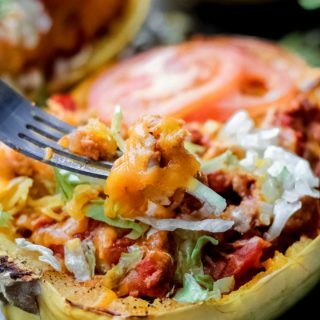 This recipe showcases the ultimate building of flavors. 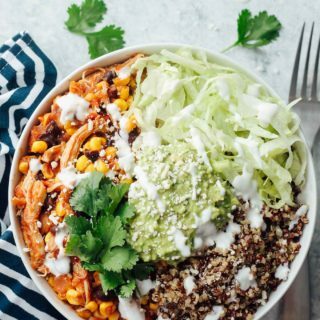 To maximize the feasting experience, you must take your fork and mix everything together in one large beautiful mess of a noodle bowl. 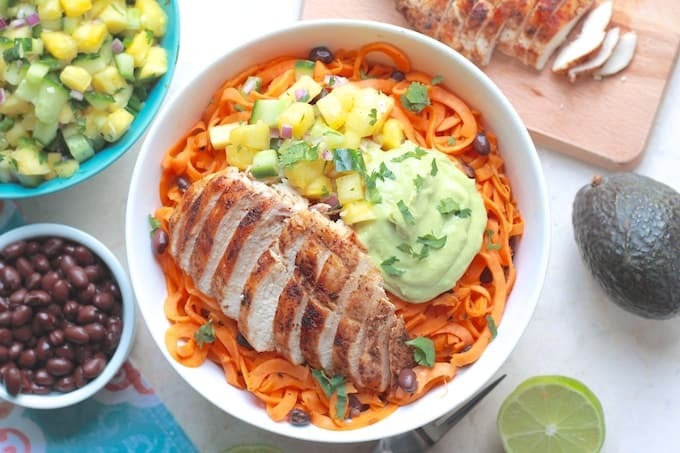 Coat those sweet orange noodles in the creamy avocado sauce and swirl them onto your fork in one perfect bundle. 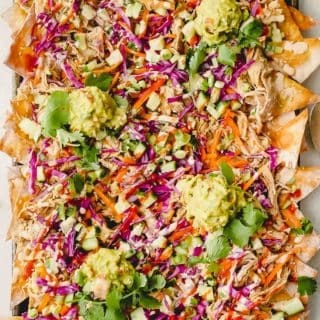 Then, take that loaded up fork, grab a strip of chicken, dig into the chunky salsa, and get ready for the best bite of your life! A Royal Sleepover / Parrrty! / Pool / Food truck party! I had to throw that food truck one in at the bottom. What a cute party theme idea! And Minted doesn’t stop at party invitations. They’ve really got you covered for any life event. 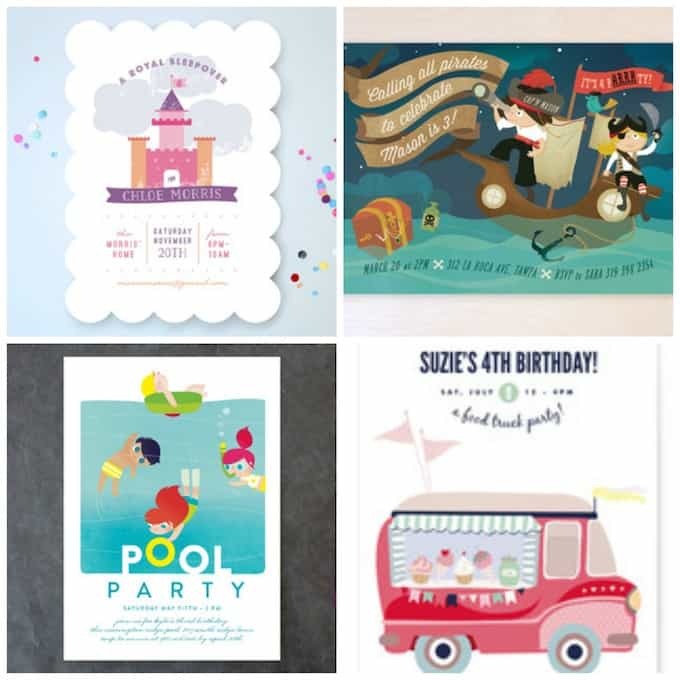 Check out their stunning wedding stationery, adorable birth announcements, and party decor for any occasion. And I’m seriously just scratching the surface here. All of the pieces available on Minted are sourced from a community of independent artists from all over the world. Click here to read more about Minted’s unique approach to sourcing. And stay tuned to see which Minted items I select for my son’s birthday in July. I’d like to give a huge thanks to Minted for being so flexible with my change of party plans! I’m feeling the summer vibes already. Fire up that grill and get the chicken cooking! And while you’re at it, grab a Corona and crank up the Beach Boys tunes! Here’s to summer! 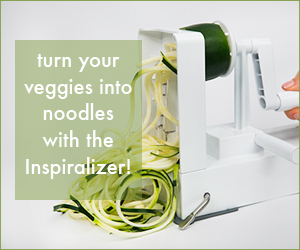 I recommend using The Inspiralizer to spiralize the squash used in this recipe! 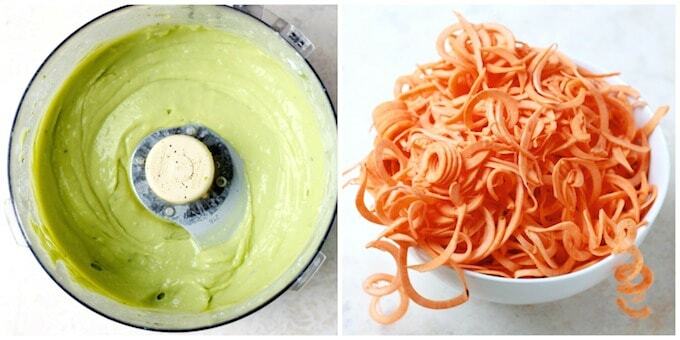 Avocado sauce: Add all avocado sauce ingredients to a blender, food processor, or Nutribullet. Blend until the sauce reaches a creamy consistency. Give it a taste and add salt and pepper if needed. Place the sauce in the refrigerator. Grill the chicken: Heat the grill. 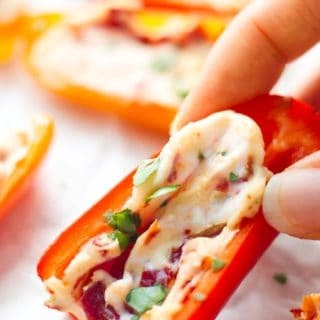 Mix together the chili powder, cumin, salt, chipotle pepper and onion powder in a small bowl. Rub the 2 teaspoons of olive oil over the chicken breasts. Sprinkle both sides of each chicken breast with the seasoning mix. Place the chicken breasts on the hot grill and cook for about 7-8 minutes on each side. When cooking is complete, let the chicken rest for 5-10 minutes. Then, slice into strips or small chunks. Prepare the noodles: Heat oil in a sauté pan over medium heat. Once heated, add in the noodles. Add a dash of salt and pepper and toss to evenly coat. Cook the noodles covered for about 8-10 minutes, giving them a quick stir 1-2 times. Cook until the noodles are tender, but still hold their shape. Add in the beans at the last minute and toss it all together to combine. Assemble the bowls: Divide the noodle mixture among 4 bowls. Top each noodle bowl with about 2 ½ tablespoons of avocado sauce, a sliced chicken breast, pineapple cucumber salsa and chopped cilantro. This dish was one of the best I’ve made in years! The recipe was so easy and there was not one bite of leftovers. 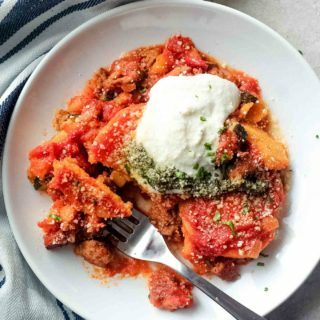 So lite, so simple, so flavorful- Thank You! We passed on the salsa and just added the diced pineapple. Being from New Mexico, I also tossed in a little roasted poblano green chile.